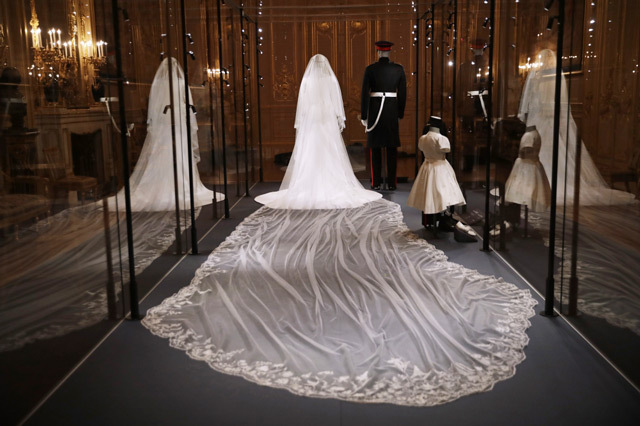 Despite tying the knot in front of hundreds of people, the Duke and Duchess of Sussex found their wedding felt "intimate" because they had been so heavily involved with planning. The former actress - who was known as Meghan Markle before her nuptials - tied the knot with the 34-year-old royal at St. George's Chapel in Windsor Castle, which can hold 800 people, in May and it was important to the couple that they were very hands-on with the planning of the big day. 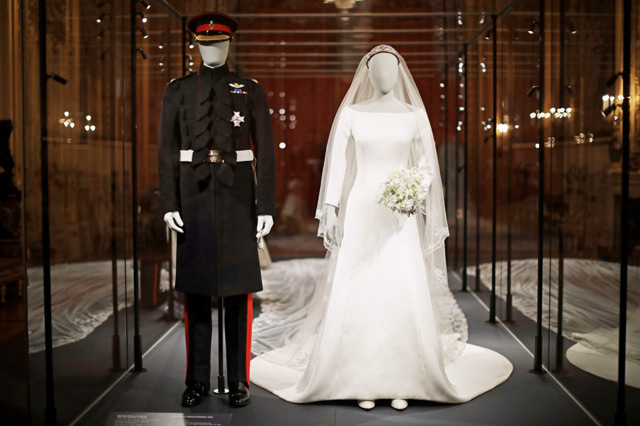 Meghan said: "There was a great level of detail that went into the planning of our wedding day. Harry added: "It was a somewhat global wedding, but being able to try and make everybody feel inclusive, it was really, really important to us." 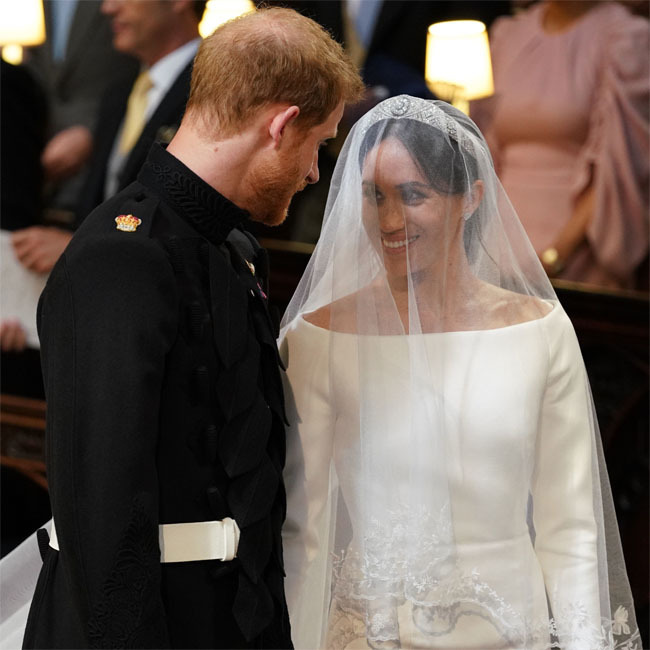 The former 'Suits' star wore a dress designed by Givenchy's Clare Waight Keller and she chose the designer because she wanted to use a British female, and she was pleased to see her "very clear vision" for her "modest" gown come to life. She said: "I wanted a female designer, that was very important, I wanted a British designer because I wanted to embrace my new home in that way. I wanted something that felt reflective of the world in a way. "I had a very clear vision of what I wanted for the day, and what I wanted the dress to look like, and so what was amazing in working with Clare is that sometimes you'll find designers try to push you in a different direction. "But she just completely respected what I wanted to see for the day, and she wanted to bring that to life for me. "So I knew at the onset I wanted a bateau neckline, I wanted a cropped sleeve, I wanted a very timeless, classic feeling and, obviously with respect to the environment we were in and St George's Chapel, being really modest in what it would look like, I knew that the tailoring was so key, because the dress itself would be so covered up." 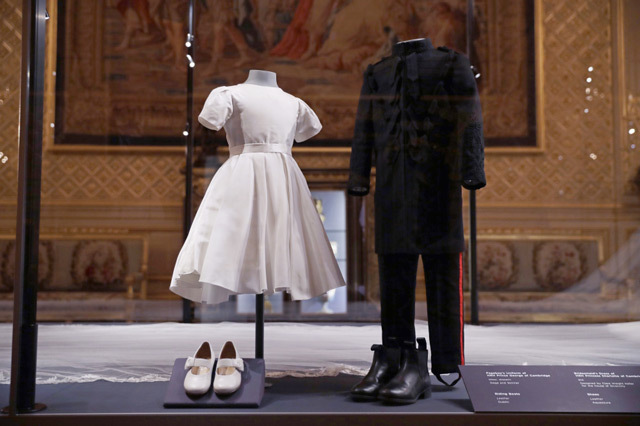 The couple's wedding outfits are part of a new exhibition at Windsor Castle and in a royal first, Harry and Meghan, 37, have provided the commentary in the audio guide. 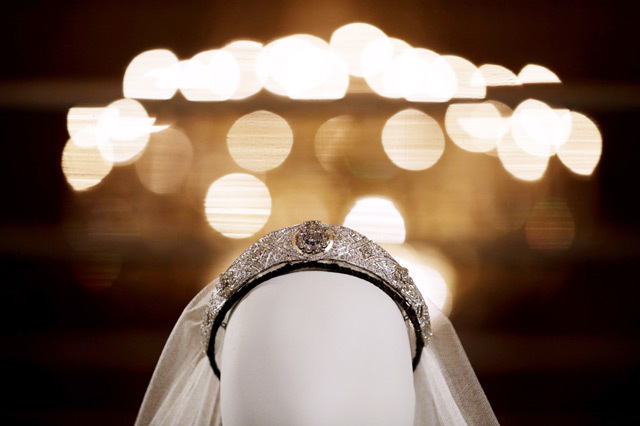 And discussing Meghan's headpiece, Queen Mary's diamond and platinum bandeau tiara, Harry praised his "very sweet" grandmother Queen Elizabeth for loaning the stunning piece to his bride. He revealed in the commentary that he had joined Meghan on her visit to see the queen and said: "Every girl's dream to be able to try on a tiara, and, funnily enough, the one that suited the best, the one that looked the best on you without question, I shouldn't have really even been there, but such an incredible loan by my grandmother, it was very sweet." 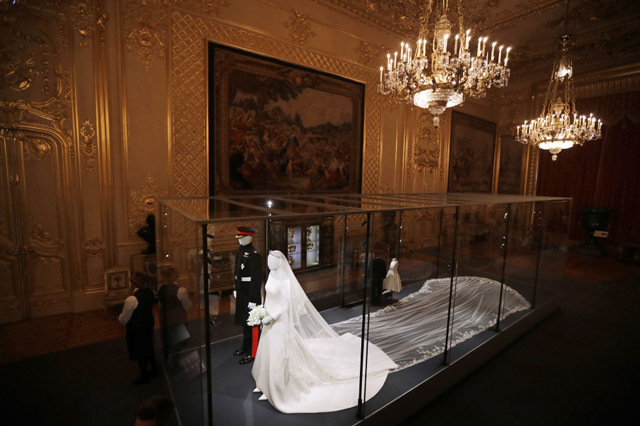 Also forming part of the 'A Royal Wedding: The Duke and Duchess of Sussex' exhibition is a silk replica of Meghan's bouquet, which was designed by Phillippa Craddock and featured blooms from the couple's own garden - but their original plans were "ruined" because of bad weather. Harry explained: "We didn't have as many flowers in our little garden as we had hoped for because I think it snowed at Easter. "That kind of ruined the whole thing. But, they're very much a bouquet of wild flower, wild flower meadows and making sure that we had forget-me-nots in as it was one of my mother's favourite flowers..."
The exhibition will run from October 26 to January 6, 2019 and will transfer to the Palace of Holyroodhouse, the queen's residence in Edinburgh, Scotland on June 14, 2019.